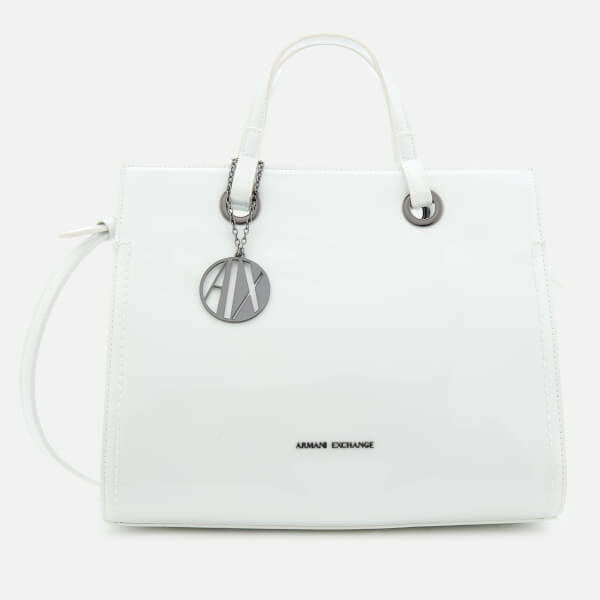 Women’s white, structured tote bag from Armani Exchange with a glossy, high-shine effect. 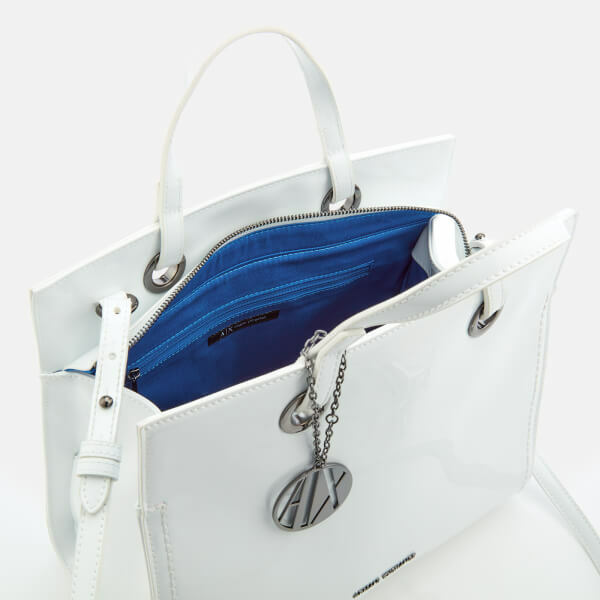 Detailed with striking gunmetal-toned hardware, the ‘Patent’ tote comprises a top zip fastening that opens to a spacious, lined internal with a zip pocket. 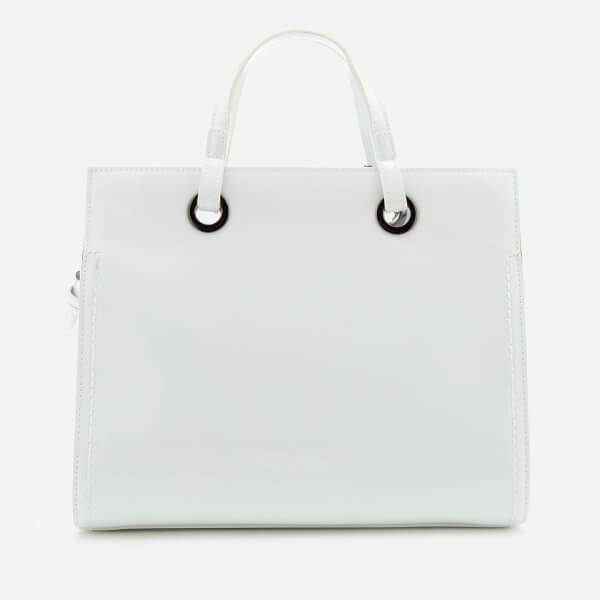 Dual top handles looped through statement metal eyelets and a long, adjustable, detachable shoulder strap offer versatile styling options. 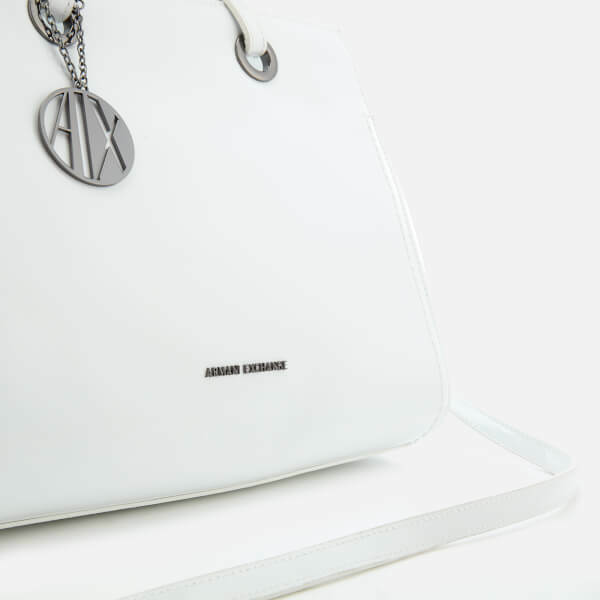 A round, metal Armani Exchange charm, tonal stitching and appliqué branding to the front base complete the design.